Nonprofit Connect membership is one of the smartest investments your organization can make. Take advantage of valuable benefits and resources that help you and your staff further your mission. We offer affordable membership for nonprofit organizations, and the businesses and consultants that serve the nonprofit community. When your nonprofit joins Nonprofit Connect, you are immediately connected to a network of over 5,000 professionals from over 600 organizations representing local, regional and national nonprofits of all sizes, as well as businesses and funders. Enjoy free educational programs, exclusive access to resources and discounts on JobLink. Best of all, membership benefits extend to your entire staff and board of directors. Business Membership with Nonprofit Connect puts your business in front of nonprofit decision makers. Enjoy exclusive advertising and promotion opportunities, listing in our Business Member Directory and opportunities to offer discounts to nonprofit members. Demonstrate your commitment to Kansas City's nonprofit sector. Individual membership is also available. 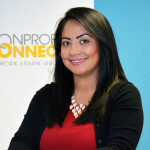 To learn how Nonprofit Membership can help your organization achieve its mission, contact Katie Castro, Director of Membership, at kcastro@npconnect.org or 816-888-5602.